Love the fact that our asset inventory is seamlessly available within Zendesk. 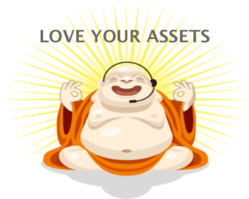 SAManage, a premier provider of SaaS-based IT asset and service management software, today announced a special “Love Your Assets” promotion, offering its Zendesk integrated IT Asset Management service to all users of Zendesk, at a discount of 20%. Included in the Love Your Assets offer is free on-boarding support to ensure same-day deployment. SAManage IT Asset Management for Zendesk was introduced in December, 2011 and the market response has been very positive. A number of Zendesk customers have signed up and are seeing immediate benefits. Tidningarnas Telegrambyra, the largest press agency in Scandinavia, is one of the first users. According to Mathias Lavér, who is responsible for their IT Service Desk, “SAManage IT Asset Management for Zendesk helped us reduce time to resolution on our tickets. Love the fact that our asset inventory is seamlessly available within Zendesk." SAManage IT Asset Management for Zendesk allows help desk agents to view IT asset configurations from within Zendesk and associate these assets with Zendesk tickets. The solution provides companies with instant visibility into the IT assets across their network, and help track the technology assets they own and use. Using SAManage, customers know exactly where each asset is located, who is using it, and what the asset configuration is. SAManage IT Asset Management for Zendesk is available immediately. SAManage provides SaaS IT asset and service management solutions that help organizations better control their IT inventory, organize licenses and contracts, and detect risks and license compliance gaps. SAManage empowers companies of all sizes with IT management capabilities that were previously available only to large organizations, making it easy to automate and simplify the daily tasks associated with establishing IT governance, control, compliance, and user satisfaction. Visit http://www.samanage.com to learn more.